Repairing Ravenhall forms an ongoing area of research and concern for the collaboration between OPENWORK and MUIR. 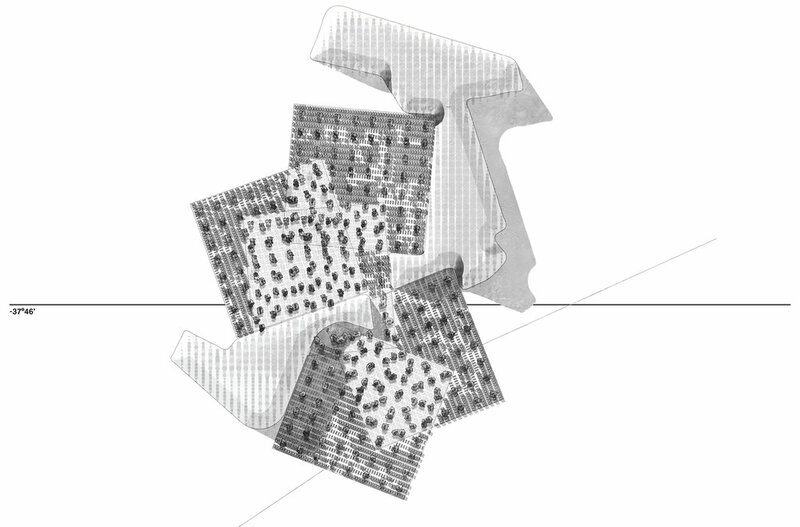 Repair provides a great opportunity to further develop and speculate in light of the 2018 Venice Biennale theme. The ‘cemetery’ provided the first opportunity to define place, the city of the dead therefore predating the city of the living. From an urban planning perspective, the cemetery initially exists as an isolated condition defining ‘a place’ and that with time/evolution the ‘gardens’ of acknowledgment/cities of the dead become embedded ‘in place’. Ravenhall provides an opportunity to consider accepting and initially implementing a structure for the cemetery as it is currently utilised – the burial and cremation of bodies. The intent is to define a structure that when passed across the existing Boral cut defines a mechanism for the establishment of a landscape, the forest. The ‘forest’ becomes a device for ‘repair’. A one hectare grid is our structure to remediate and occupy the site. The standard grave dimension, DDA circulation and the provision of a planted tree grid, define the set out of the hectare. This is then overlaid onto the existing carved landscape. 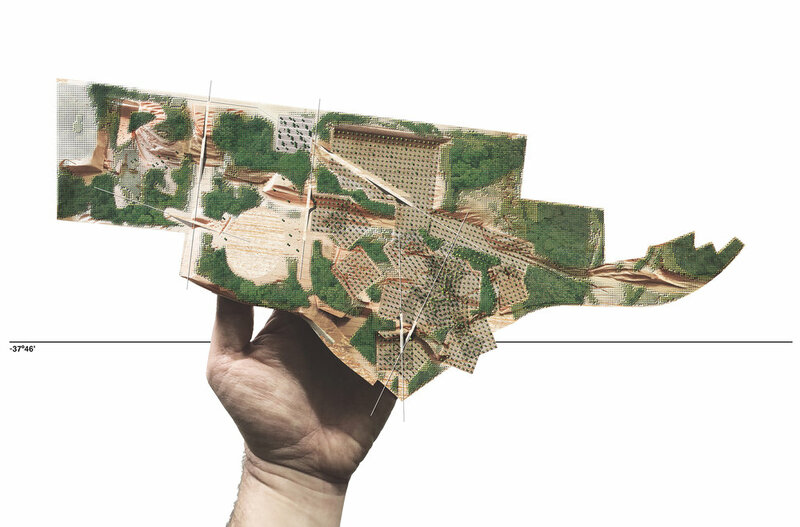 The grid orientation and position is determined by the carved landform, with the overlap of the grid establishing a ‘colliding’ landscape – the opportunity for the forest as cremation scattering ground.